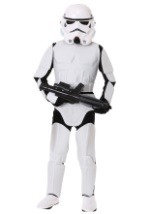 Slip on this Deluxe Two Piece Stormtrooper Helmet to feel like part of an Empire this Halloween. The details of the helmet, like the blue lines along the sides and the upside down blue “V” by the mouth, set this helmet apart from the rest. It comes as a front piece and a back piece which connect together to form a full head helmet. 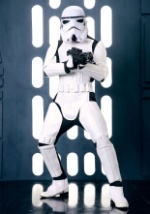 Browse our other Star Wars helmets and collectible items to complete a collection!